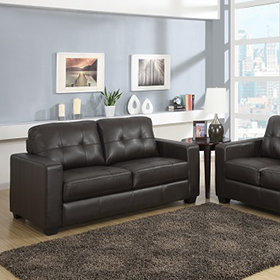 The Banff faux leather bed in black or white. The Banff Bed is sure to be the focal point of any bedroom. The clean modern lines of The Banff Bed are beautifully highlighted by its sumptuous faux leather upholstery, featuring a unique curved headboard, footend & side rails and chunky chrome feet. This bed is available in a variety of sizes and luxurious black or white faux leather upholstery - please ensure all your desired options are selected from menus. 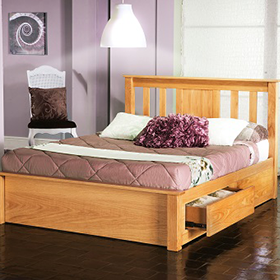 The Banff Bed requires assembly - options available - contact us for info. Delivery of The Banff Bed in 3-5 weeks.